Purchased as a Christmas gift, I was absolutely overwhelmed when I opened the box and saw the actual product. Absolutely beautiful. The picture on the website does not do it justice. 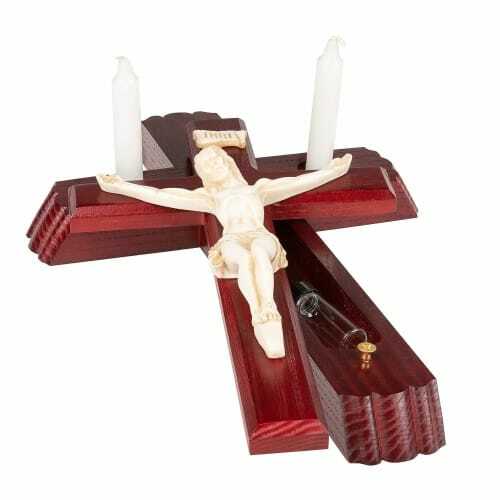 Beautiful cherrywood finish and much attention to detail in the wood and in the figure of Jesus. A very inspiring peice of art.